Last week I showed you how to make the lace embellished top or tank. 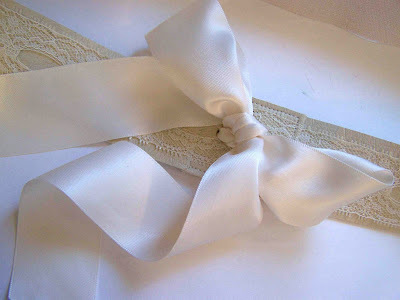 During the photo shoot I accessorized it with a lace, faux leather, and ribbon belt. 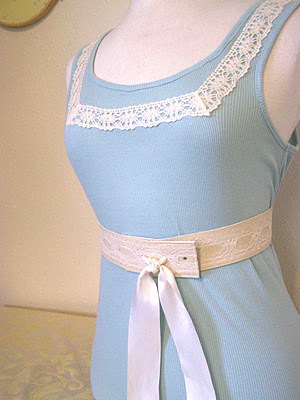 Although the belt is not a top in and of itself, I think that it can do a lot for a basic top. Today I'll show you how I made my belt. 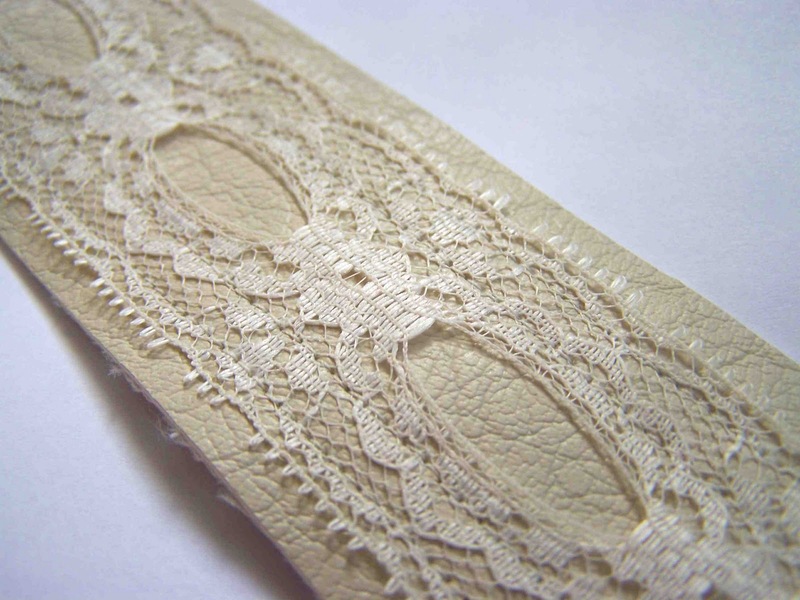 To begin you will want to cut a strip of leather, and one of lace, that are as long as your waist plus six inches. I cut my belt material to be about 1/2" wider than the width of my lace. 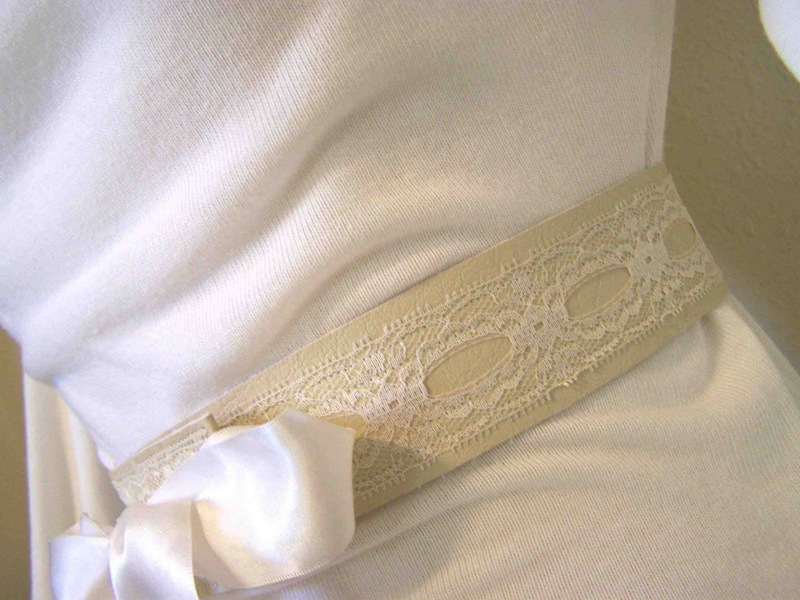 Once your materials are cut you will want to center your length of lace over the belt material. 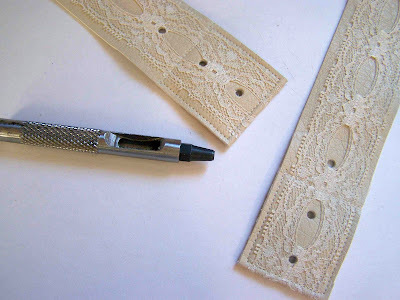 You can pin along the length to secure the two layers. I then machine stitched down the length of the belt. The first rows of stitching were about an eighth of an inch from the edge of the lace. I then stitched around a quarter inch inside the initial rows. The placement of your machine stitching should be determined by the shape of your lace. 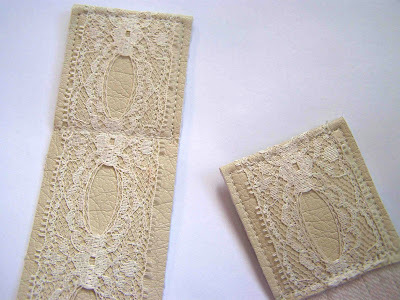 I recommend using a lace that doesn't have much of a scalloped edge to avoid the edges from pulling away from the material. 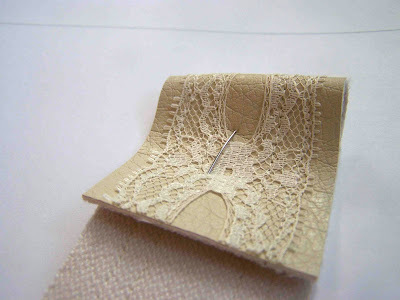 I used a regular sewing machine needle on my project, but a leather needle or heavy duty machine needle would worker on thicker or hard to work with material. Next fold over the ends of your belt by two inches. Pin them in place. Stitch around the entire perimeter of the tab (see image below). You will next want to mark where you would like the holes of the belt to be punched. I put three holes each 1 inch apart, the first hole being 1/2" away from the edge of the belt ends. You only need two holes on each end, but adding a third allows you to adjust the belt width a bit more (great for when you are wearing the belt over multiple layers). Now cut a length of ribbon that is long enough to tie either in a bow or a know. Angle the edges of the ribbon and apply fray check to prevent fraying. That's it. I can't wait to make more of these belts in different colors and widths. I love this!!! I have been looking at a lot of belts for girls to buy for my daughter for Christmas but none are as cute as this! I am definitely going to have to try this! Thanks for the cute idea!